Qualys, Inc. (NASDAQ: QLYS) is a pioneer and leading provider of cloud-based security and compliance solutions with over 10,300 customers in more than 130 countries, including a majority of each of the Forbes Global 100 and Fortune 100. Qualys helps organizations streamline and consolidate their security and compliance solutions in a single platform and build security into digital transformation initiatives for greater agility, better business outcomes and substantial cost savings. 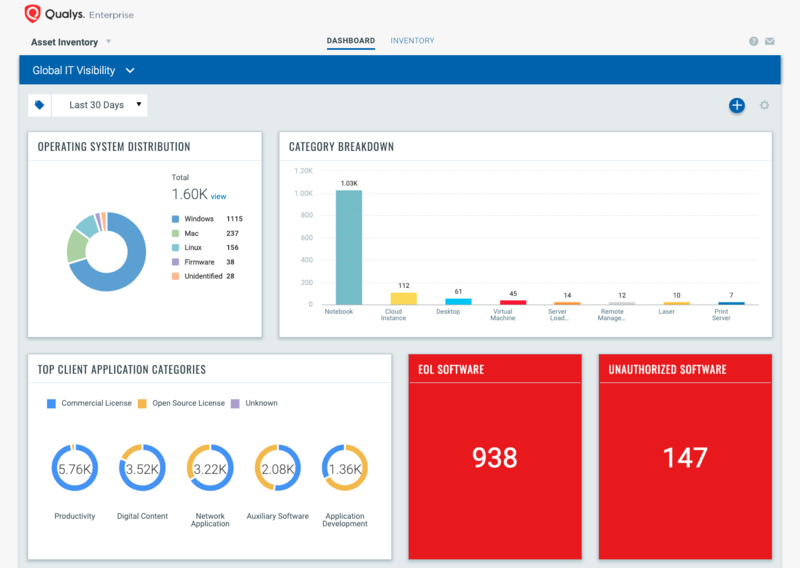 The Qualys Cloud Platform and its integrated Cloud Apps deliver businesses critical security intelligence continuously, enabling them to automate the full spectrum of auditing, compliance and protection for IT systems and web applications on premises, on endpoints and elastic clouds. Founded in 1999 as one of the first SaaS security companies, Qualys has established strategic partnerships with leading managed service providers and consulting organizations including Accenture, BT, Cognizant Technology Solutions, Deutsche Telekom, DXC Technologies, Fujitsu, HCL Technologies, IBM, Infosys, NTT, Optiv, SecureWorks, Tata Communications, Verizon and Wipro. The company is also a founding member of the Cloud Security Alliance. For more information, please visit https://www.qualys.com.